Angry people seem to drive on the roads of Delhi, where there are more cars than the population of many big European cities. At the slightest provocation, this anger becomes uncontrollable road rage – as if a dent on your car or a small accident must be avenged with the taking of a life. Just a few days ago, 35-year-old garment trader Sushil Chauhan met an untimely end following an altercation when two young men rammed their scooter on Chauhan’s car around 11.30 pm in Geeta Colony. Chauhan told the boys that if they ride a two-wheeler rashly, they may get killed. Surely, he couldn’t have known that they were packing a gun. The boys retorted, “Well, we plan to kill you.” One of them shot Chauhan on the thigh before they fled. He died of excessive bleeding. The trader is survived by a wife and a 10-year-old daughter. Police investigating the matter are of the view that the assault might be premeditated. That this is not an isolated case is what makes the matter serious. Earlier this year, Union Minister of State in the Home Ministry Hansraj Gangaram Ahir informed the Rajya Sabha that a total of 222 cases of road rage have been reported in the Capital in the last three years. So many people met their untimely death just because few drivers failed to contain their tempers. This is particularly true during the peak traffic hours — due to heavy traffic the flow is slow, he suggests. It has been found that the motive of one in every five murders, on an average, is an altercation instigated by a trivial issue and is a result of sudden provocation. Not just in case of Chauhan, in another unfortunate encounter this week a 21-year-old man was shot dead allegedly by two men who trailed him following an altercation after the car they were driving brushed past the youth in the locality of Mayur Vihar in East Delhi. According to the report Aggressive Driving Case Studies and Mitigations in India, drivers’ road rage is an “erratic and potentially dangerous behaviour called Intermittent Explosive Disorder (IED)” and is, and —this needs to be emphasised — “significantly different from foul temper.” It affects up to one in 20 people, more common in men. IED is a medical condition and those who suffer from it are unaware of their violent action, also are oblivious of its intensity. They are incapable of resisting aggressive impulses. Congested roads, chaotic traffic and honking can trigger such outbursts. 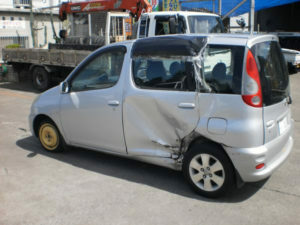 In that sense, road rage, rash driving, and getting into avoidable brawls on the road are related phenomenon. IED is often associated with aggressive driving, and according to various researches, drivers in the age group of 19 to 25 are particularly prone. And some of the early symptoms of people prone to IED often are tailgating, abrupt lane changes, speeding, overtaking from wrong side and not waiting at traffic signals. A Central Road Research Institute (CRRI) study shows that cold weather and rain are contributing factors leading to fights. It needs no rocket science to know that stressful lives are like fuel in the fire as far as road rage is concerned, some drivers are like tinderboxes waiting to explode at the slightest provocation. 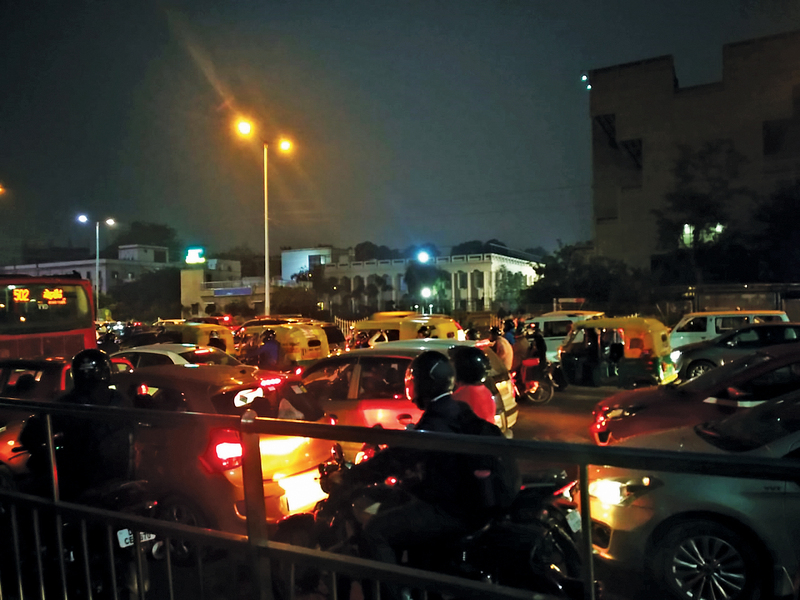 A recent survey by Ford Motor Company in India found traffic congestion and parking as the main factors that caused high anxiety levels in Indian drivers, with at least 60% of drivers stressed due to these. Not just Delhi’s demanding and hectic lifestyle life, but also pollution contribute to it. On top of everything, drivers are mentally occupied engaging with gadgets, and abhor any disruption. People are generally stressed in the city and road rage becomes a way to give vent to their pent-up negative energy caused by impatience, egoistic attitude and self-interest. Often a competitive environment fuels such behavior. When stuck in traffic jams people tend to look for space to get out of the jam, rather than behave in a responsible way that will easy the traffic congestion at the first place. In European countries, where following traffic rules is sacrosanct, whenever a minor accident takes place, whosoever is at fault, drivers more often than not get out of their cars and apologise to each other while shaking hands; they then inform the cops, who clear the road within a few minutes. If injuries are sustained, the injured are promptly transported to the hospital. But there’s no display of aggression, or vituperative argument to ascertain who’s at fault.